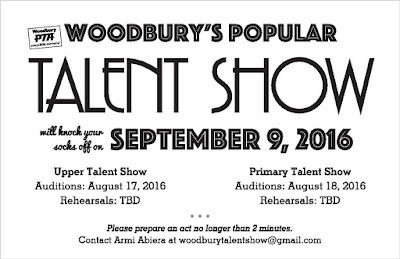 Woodbury PTA: Talent Show Auditions Coming Soon! Talent shows are the best kind of shows. Promotion of talent is very important and it is good to see one happening. 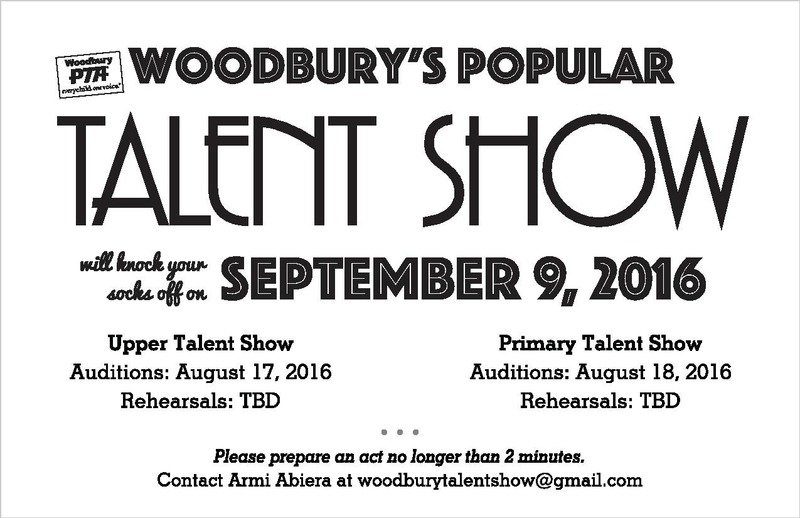 I hope everyone clears the audition.